2014 seemed more concerned with Nick Jonas’s body than with the pop-singer’s actual career. After releasing 2010’s surprisingly mature debut with “The Administration” (his back-up band made up of Prince’s New Power Generation, a.k.a. something meant to rival Selena Gomez’s “The Scene”), Nick took on Broadway in “How To Succeed in Business Without Really Trying” before returning to the studio. Free of the Administration (and the Elvis Costello comparisons) and the stage-make up, Nick has returned to the pop scene with a slew of singles from his forthcoming album. 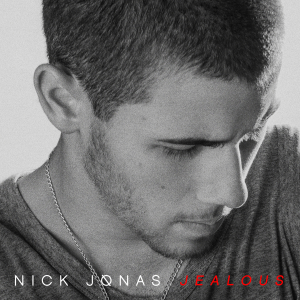 Barely reaching the Top 40, Jonas’s second single, “Jealous delivers the most out of these buzz singles with pop hooks a la white-boy-Billy Ocean/Lionel Ritchie. The song is a typical 22-year old boy–er, man’s (I mean, c’mon. Have you seen those pictures yet!?) attempt at “puffing his chest” for that night’s girl (Olivia Culpo?). Falsetto-ridden, current, and simply catchy, “Jealous” does its job well as 3-minutes of radio airtime filler. Nick’s underestimated voice, however, sounds confined on his return to the studio after hearing his recordings from Succeed. True, the demands of Broadway/theatre singing aren’t always appreciated by the Top 40. The strong tone, control, and pacing found in Broadway performers, however, would serve any singer well. Jonas (whose impressive performance as J. Pierrepont Finch took many off-guard) could learn a lot from Idina Menzel. Perhaps the most overplayed song of the year, “Let It Go” nevertheless shows a seasoned Broadway singer able to bring her expertise to the Top 40.